Rattlesnake Road is the first full-length CD to be released by the Portland, Oregon-based Sandy Saunders Band. Comprising Sandy Saunders on vocals and guitar, Billy Lindsay on lead guitar, Jeff Woodcock on bass and backing vocals and Scott Cwalinski and Chris Lay on drums, Rattlesnake Road is an impressive country-rock-blues release. Opening with “Concrete Cowboy”, the band immediately settles into a funky, bluesy rhythm, driven by Lindsay’s spiky guitar. Saunders has a warm, strong voice that can be tender as well as raunchy and powerful, and her band has a similar dynamic ability to build and develop a song, for example on the heavy blues of “Shake These Blues”. 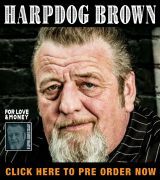 Scots-born Billy Lindsay is fine, melodic guitarist, equally adept at bluesy leads (in “Concrete Cowboy”), acoustic solos (in “Different Girl”), country bends (in “Shoot Myself”, “Slip And Slide” and the second version of “Different Girl”) and electric slide guitar (“Shake These Blues”). The acoustic “Heresy” even has hints of Van Halen’s “Spanish Fly”, which may of course explain the song’s title. 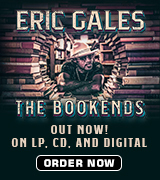 He mixes his tones up nicely, from the heavily over-driven “Shake These Blues” to the warm Strat-like tones of “Shoot Myself”. The rhythm section of Jeff Woodcock and Scott Cwalinski or Chris Lay provide a reliably solid backing to the 12 songs on Rattlesnake Road (there are two versions of “Different Girl”, the second one featuring additional electric guitar), all of which were written by Saunders, Lindsay and Alistair Case. There is an engaging confidence to the Sandy Saunders Band, as well as a clear enjoyment of the music they make. In the title track, at the same time as Saunders sings: “Tequila in my bottle, cocaine on my brain, this rattlesnake life is going to drive a girl insane”, the band drops a hint of JJ Cale’s famous riff from “Cocaine” into the song. Indeed, it wouldn’t be a surprise to hear the SSB launch into that song, given the 1970’s “classic rock” influence on many tracks. “Slip And Slide”, for example, has a mid-paced groove not dissimilar to something Bob Segar might write and “Where I’m Going” has hints of early Bad Company. While classic rock and blues influences permeate many of the songs, however, it is the influence of country music that has the most impact on Rattlesnake Road, from Saunders’ vocal inflections and the major key songs with strummed acoustic rhythm guitar to Lindsay’s use of the major pentatonic scale in his solos. This isn’t a record that demands strong engagement from the listener. This is good time, bar-room music, played with enthusiasm and no little skill. 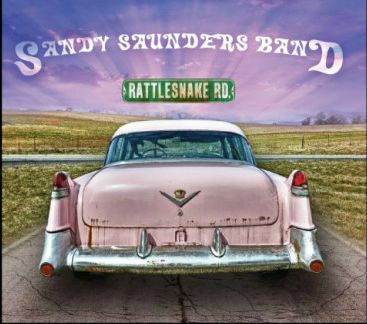 On the evidence of Rattlesnake Road, the Sandy Saunders Band must be a cracking act live. It will also be interesting to watch the band develop over their next releases.